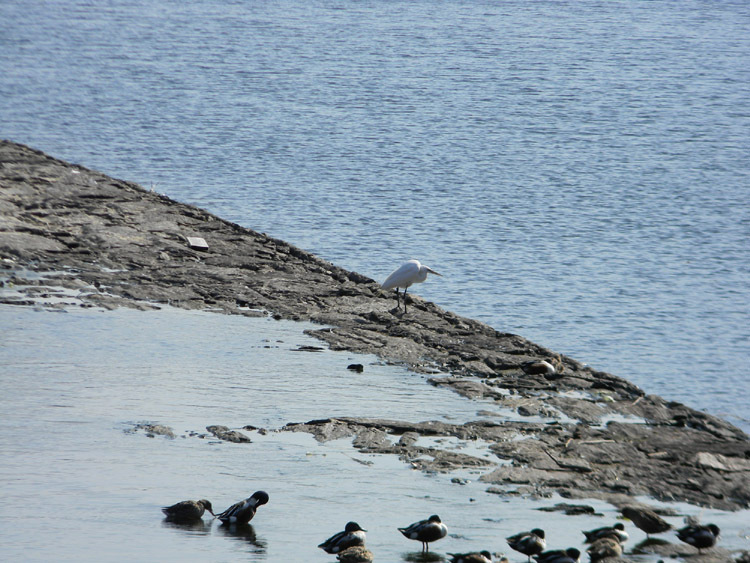 I noticed the comment on the egret yesterday and when I was up at the reservoir, I was surprised to see it there. I am attaching [a photo I took] yesterday at the reservoir. As I mentioned I am new to bird watching and photography so please excuse the photos - but I thought you would like to see them as proof. No need to apologize for your photography. It's beautiful! I will definitely post your Reservoir shot. That will be of great interest to people following this story. Many thanks. A sign of spring or garbage?